Nicholas Lou Saban Jr. is an American football coach who has been the head football coach at the University of Alabama since 2007. 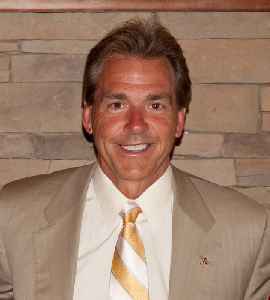 Saban previously served as head coach of the National Football League's Miami Dolphins and at three other universities: Louisiana State University (LSU), Michigan State University, and the University of Toledo. Saban's career record as a college head coach is 232–63–1.